The installation went like a breeze. So did the buying process, paying with PayPal. And in a few moments I had bought a second world war game: Red Orchestra Ostfront 41-45. I had some issues with the screen resoulution. I only saw portions of the screen like the top left corner of the whole screen. In short: it was impossible to play the game or even start it properly. I tried to select the latest Nvidia driver in Ubuntu 12.10, the experimental one, but this also failed to solve the problem. After some googling I found out I could edit some config file for the game, and in the end I got it up and running in the monitors full resolution. I was not able to run with any other resolution, or else the problem would be back. I then tried to download the latest driver from the Nvidia site, but this did not solve the problem, it did however, have a great impact on the performance. Enough mentioning of problems. Other than this hick-up everything went smoothly. It is so cool that it is possible to buy and download a game and get it up and running in such a short time. 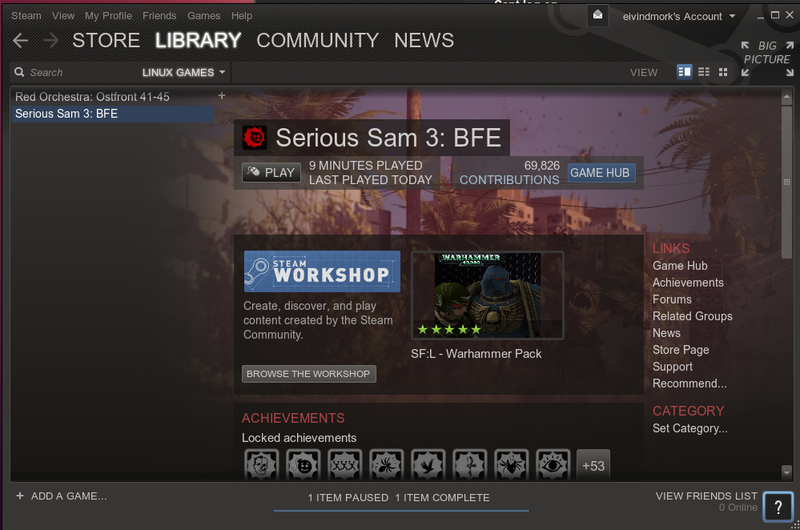 After the partly successful story of Red Orchestra, I bought a Serious Sam game and two Clockwork Man games. These two gave me absolutely no resolution problems or other kinds of problems. Select, pay, download, run! 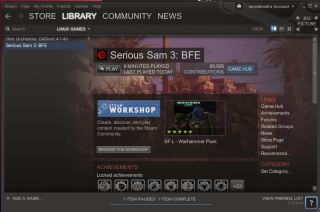 I can’t tell you how cool it is to finally see a movement in the games sphere of Linux. Oh, cool. I had never heard about them. I sure will take a look!